Did I mention I am way too busy these days? If not, now you know;) I have been extremely busy these days. What with new project I started working on which takes most of my time and attention, it feels like I am walking on some tight rope balancing home in one hand and office in another! And strangely I am quite enjoying myself! Oh, I can be wild and crazy sometimes and I do surprise myself many a times. Ok, I won’t bore you with my rants. As much as I like to rant and ramble, I know I should stick to main agenda of this blog which happens to be food! Today, I am posting one simple recipe from my home town. 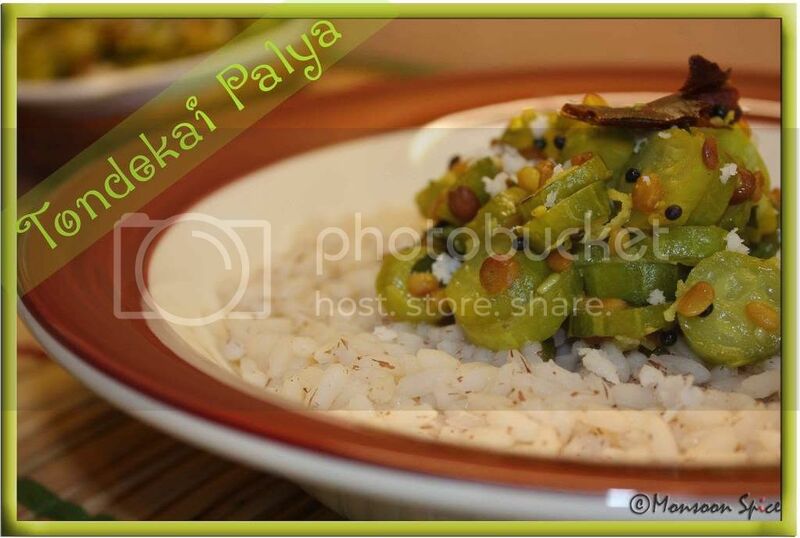 Yes, another Palya or stir-fry recipe which is one of my favourite. This time it is Tondekai Palya or Ivy Gourd/Tindora Stir Fry. Crunchy Ivy Gourd is stir fried with fresh Coconut and very few spices. What you end up having is one delicious stir fry of crunchy tindora with light note of spices used in tempering and sweet touch of coconut. I usually like to have it with Rosematta Ganji/Kanji with a dollop of Ghee (Indian clarified butter). You can also serve this Palya with Chapatti and Dal or just warp it in Chapatti for picnics and light meal. 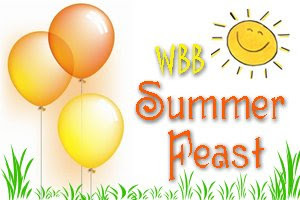 Less fattening, less time to cook and tastes delicious, what more we can ask for! Heat oil in a pan or wok and add mustard seeds. When it starts to pop and splutter, add urad dal, halved dry red chilli, hing and curry leaves. Sauté till urad dal turns golden brown in colour, about 1-2 mins. Mix in tindora, turmeric powder, slit green chillies and jaggery. Stir fry it on medium flame for 3-5 mins till tindora starts to turn light brown on edge. Now add salt to taste and about ½ - ¾ cups of water and mix well. Cover and cook for another 3-5 mins till tindora is almost cooked. Open the lid and let it cook for another minute or two till all the water is absorbed and tindora is cooked but retains its crunch. Switch off the flame and mix grated coconut. Serve this delicious Tondekayi/Tindla Palya hot with Chapatti, Rosematta rice or any other rice or your choice and enjoy. Other Palya recipes blogged so far can be found HERE. yeh boss voss kya hota hai? well done with your 204th. I know what you mean by choosing to update the post over blog hopping Sia. I do that too and feel bad about it sometimes. But we have only 24hrs a day and most of it we spend in office!!. I love tondekayi palya too. Lovely pics as usual. A toast to ur blog!! Kudos to u Sia..Your blog is a treasure!! Many happy returns of these milestones to u!! Wow another great milestone! Wish you many more Sia & Congrats! Simplicity is the beauty, love the curry! 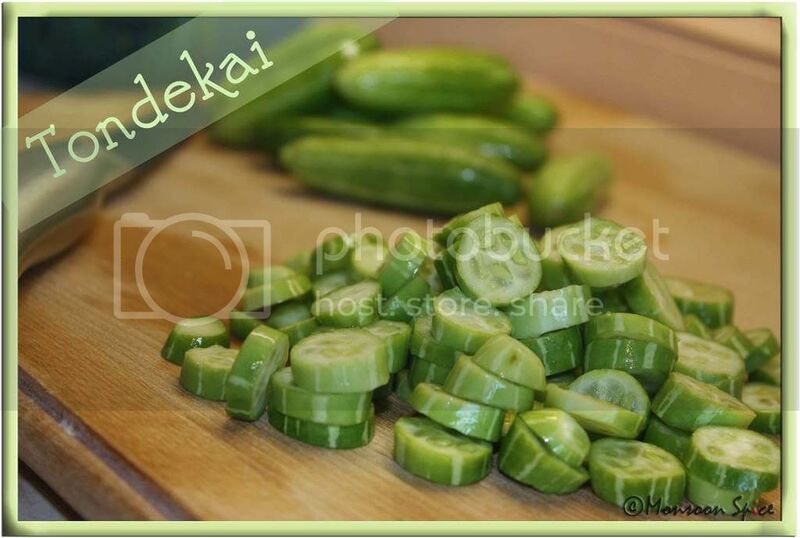 congrats on 204 th post ..LOL..
Tondekai Palaya looks so deliciuos , refreshing addition of coconut makes it even more tasty ..
Take your time and relax , we are always there for you ..
Congrats on the milestone. The pic of the raw, striped tondekai pieces is nice. Such a lovely, simple dish, Sia. I love tondekai and your preparation looks gorgeous. Congrats dear for reaching yet another milestone! Ivy gourd is my favorite vegetable too. I usually make a curry using ivy, potatoes, onion and tomato and season with sambar powder. It's good for rice and chapathis also. Next time I'll try your method. 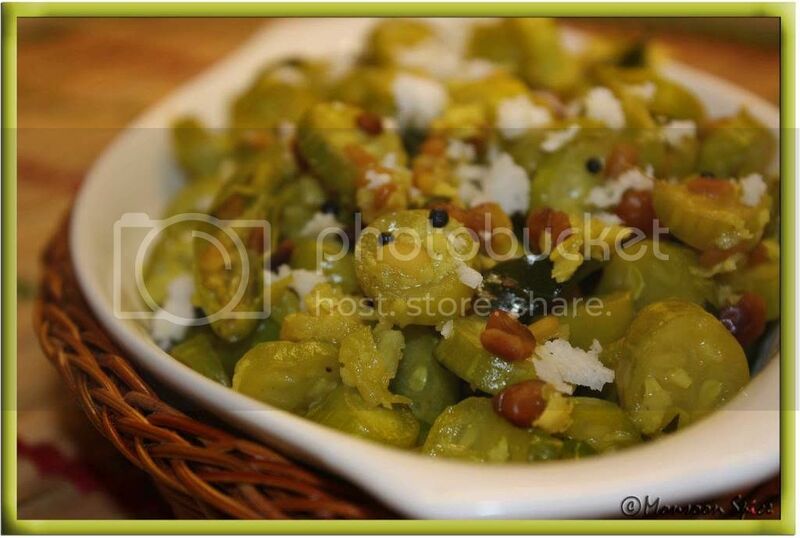 Nice recipe with the IVy gourd..
blogging is not easy specially for working people. It's nice that you find some time blogging. I don't go to work but my daughter keeps me busy round the clock and I am on my toes most of the day. I follow this motto "work first ( be it home or office), blog next". Palya is so eye catching. Hang on to the job girl! 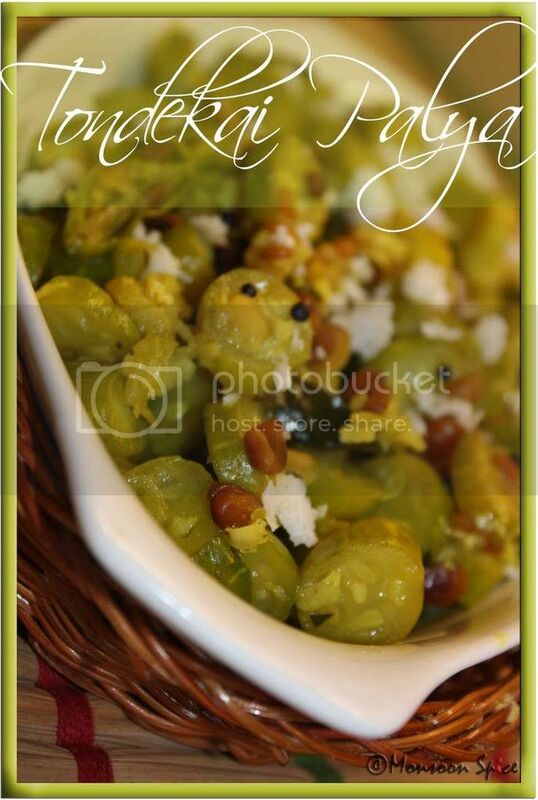 We can wait... that tinda looks terrific. Juicy and tasty!! congrats on the 200 err 204!! good going sweetie! that bowl cradled in a basket always looks good, nice simple palya. Congrats Sia for ur 200th errrr.. 204th post! and the palya looks yummy! Ah, mouth watring! Been a long time since I had this simple but delicious vegatable..
hhehehe..we don't want you job hopping naturally...:)..congrats on the milestone..and yep looking fwd for many dear sups! Summer is busy for a quite a few of us. Happy 200, Sia. Congrats Sia! 204 posts....thats amazing considering that you are working!!!! Wow! Congratulations, Sup! 200 is HUGE! To give you a little insight into my perspective - blogging for 2 years now & not reached 100 posts yet!!! Great going, Sups! Tondli bhaji looks greta, btw! LOL, I so hear you on choosing between job-hopping and blog-hopping :D Congrats on the 204th sups, great going... You know I love this space! I too make this fry which is very similar to yours!